SPORAH TV: I AM VERY HAPPY AND PROUD TO ANNOUNCE THAT I HAVE BEEN NOMITATED FOR THREE AWARDS. I AM VERY HAPPY AND PROUD TO ANNOUNCE THAT I HAVE BEEN NOMITATED FOR THREE AWARDS. I AM VERY HAPPY AND PROUD TO ANNOUNCE THAT I HAVE BEEN NOMITATED FOR THREE AWARDS ON BEFFTA AWARDS 2012. BEST TV SHOW, BEST TV PERSONALITY, BEST TV PRESENTER. 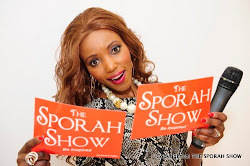 THANK YOU ALL FOR LIKING, FOLLOWING AND SUPPORTING THE SPORAH SHOW. I AM INCREDIBLY GRATEFUL FOR ALL OF THE TIME AND EFFORT THAT MY TEAM PUT INTO THIS, AND I WOULD LIKE TO GIVE A MASSIVE THANK YOU TO THE BEFFTA TEAM FOR NOMINATING US. IT IS VERY MUCH APPRECIATED AND I AM SO HAPPY THAT PEOPLE HAVE ENJOYED WATCHING THE SHOW AS MUCH AS I HAVE HAD HOSTING IT! MANY MANY THANKS GUYS AND HAVE A WONDERFUL WEEKEND. congrats sporah, you deserve it. YOU DESERVE THEM ALL GIRL. 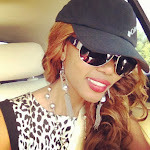 Could you talk about this kind of Issues on your show, i think its NOT very good in the community please sporah! People should WIN awards when they have achieved in their career (SUCCESSFUL) so they can inspire the young generation not when they're planning to do things. HEY..! WE NDIO WAUKWELI DADA, TUKO PAMOJA. WAWAWOOOOW...M SO HAPPY FOR U SPORAH. THIS IS AGREATER NEWS MY DIA..GOD IS GREAT ALL THE TIME. 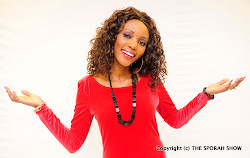 A big congratulations Sporah great news indeed for a hard working and a most humble lady . Wishing you great success my dear. your hard work pays off, keep grinding girl. congrats darling, you deserve it. Wakilisha mama, hapana CHEZEYA wewe.